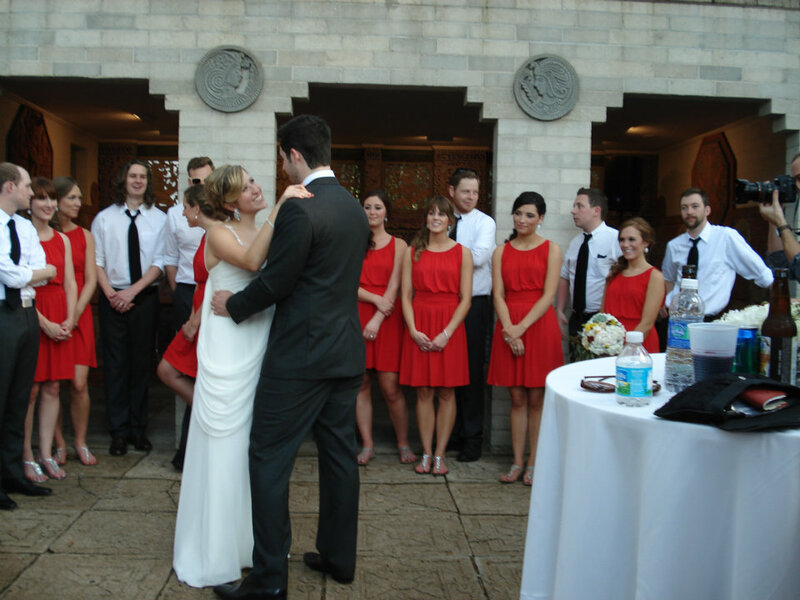 Ashley and Drew had their first date on Cinco de Mayo 2011. Exactly one year later, it became the theme of their wedding weekend. 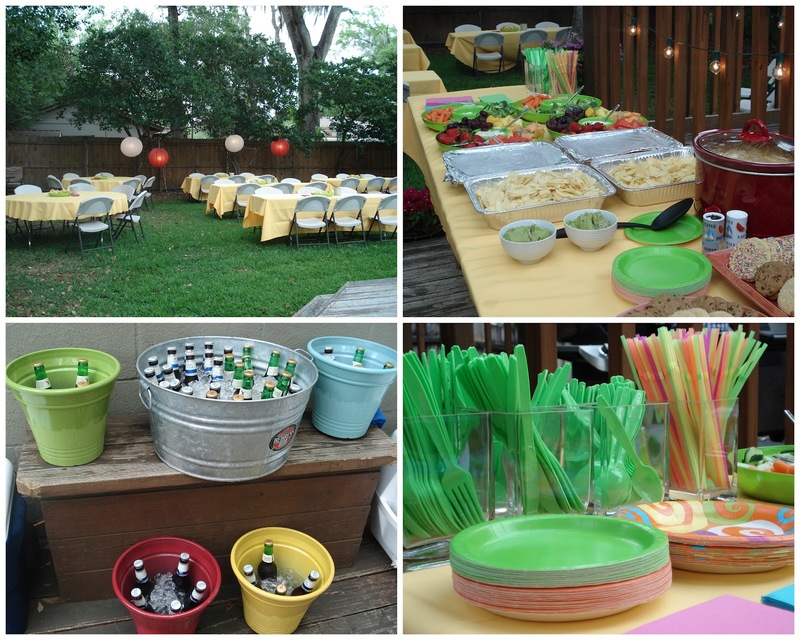 The rehearsal dinner was held in the exact place where Drew proposed to Ash – his backyard! It was absolutely gorgeous and everyone had a great time. During the rehearsal dinner, Ash gave her bridesmaids beautiful earrings to wear for the wedding. Everyone loved them! The next morning we all met up and got ready together. Look at her! She was the happiest bride ever. The reception was held in a beautiful garden. Side note: Happy 6 months of marriage to us! First dance as bride and groom! Have fun on your honeymoon! I love you both! Yes, very fun wedding! So, they met one year ago and got married!? That's awesome! I'm guessing she had to plan everything fairly quick! Love the decorations for the rehearsal dinner! Love this theme! The wedding was very pretty, and your hair looked great! awww so pretty!!! 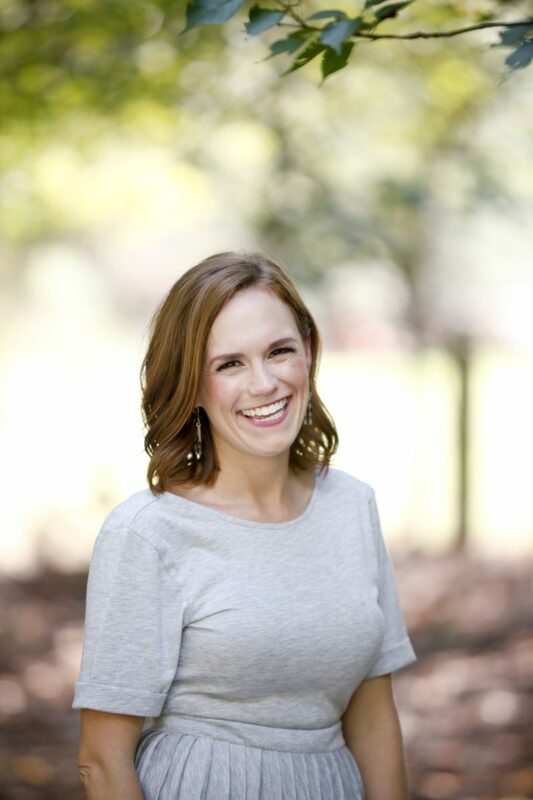 great pictures christina – you look gorgeous! What a pretty wedding! Her dress is gorgeous! 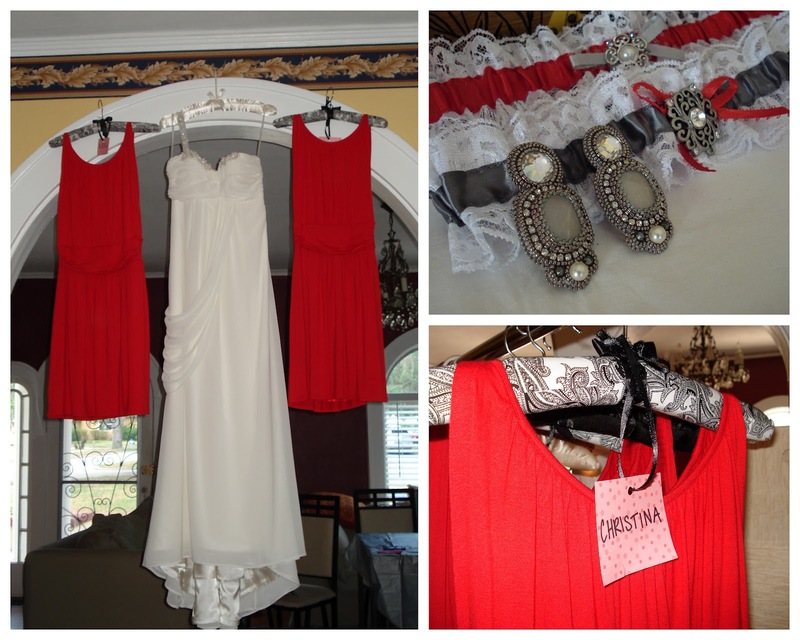 Love her wedding – so fun and pretty! You look so cute in your dress! Love this simple but chic wedding! Oh looks like a wonderful wedding! Very festive and sweet! Love the bridesmaids dresses. And yes, happy six years of marriage to you and your hubby! I was in a wedding last saturday too, about to post on it! Cinco de mayo is such a fun holiday 🙂 YOu looked beautiful in that rust color dress! Cutest thing I've ever seen! So creative, simple and classy! Ya'll are cute too. Happy 6 months! 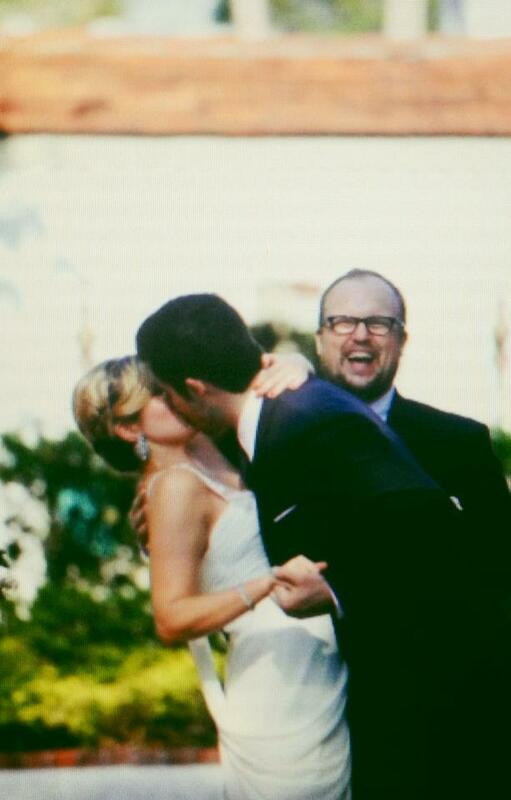 Such a fun wedding! Love the fun theme! And a very happy 6 month anniversary to you and the hubby! I must do the tags on the dresses because every single wedding I've been in, we all get confused of who's dress is who's. 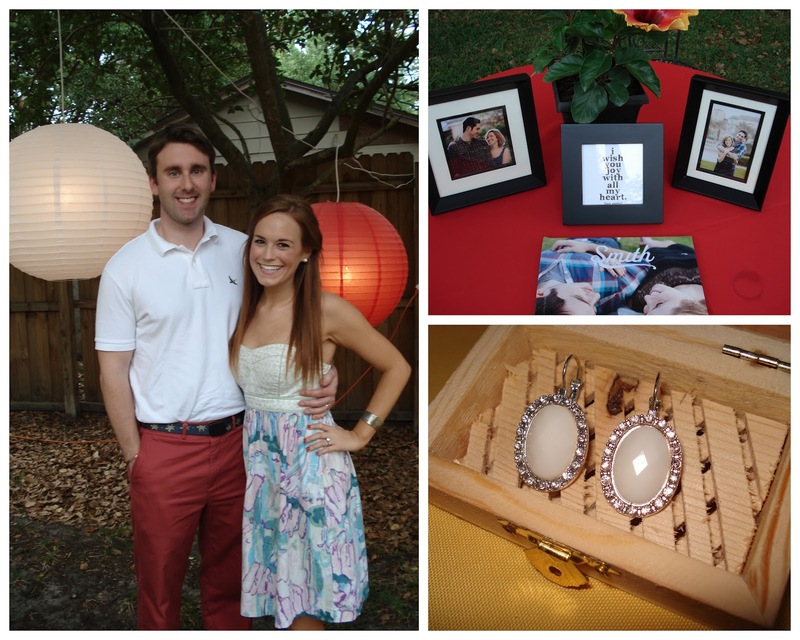 Fab idea!Gorgeous wedding and happy 6 months to yall! She is gorgeous! Love the last picture of you & your hubby! This is such a cute wedding! I love the bride's dress. Happy six months, Christina! What a fun wedding! The bridesmaid dresses are SO cute! You can definitely wear those again! 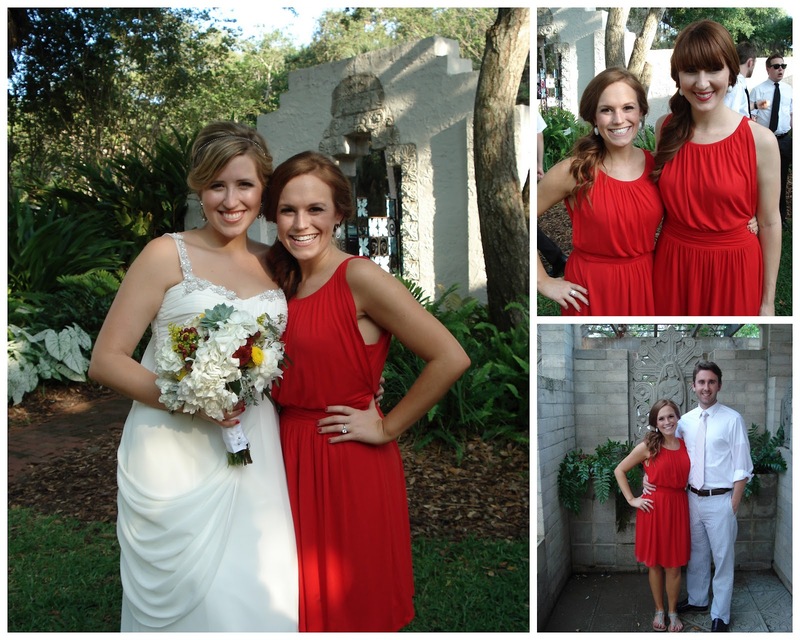 Such a lovely wedding, and I love the bridesmaid dresses. I love what people are doing with those these days as compared to when all my friends got married with those formal dresses…that no one would ever wear again. I love that Cinco de Wedding idea! I'm getting married next May 4th so I've thought about incorporating some of those festivities. I love your friend's dress, GORGEOUS!! that is such an adorable wedding! and super cute that it was their wedding date and first date! what a cool wedding!! i love the idea of celebrating on cinco de mayo since it is a party already. plus i love the color of the bridesmaids dresses she picked out! cinco de marriage…classic! LOVE IT! Love the laid back feel of it all! And your dress is so fun! I feel like you can wear that time after time. You are a busy little wedding guest! Looks like a great wedding! The bridesmaid dresses were awesome! What a fun wedding! I love those earrings! Oh my gosh you looked GORGE!!! Love that red dress and LOVE those earrings! So cute! Where did those earrings come from? So cute!